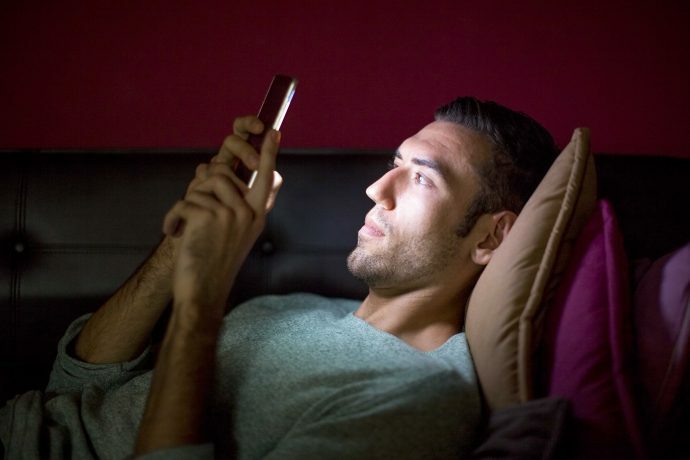 Is smart phone affecting your sleep? It might be hard to believe that the smart phone which was introduced just a decade ago in Jan 2007 has occupied most of us. Today, every adult and teenagers have a smart phone. For many of us, our phone is the first thing we check in the morning and the last thing to use before we go to bed. We all are well aware that our cell phones emit “blue light” which is bad for sleep. The reason is simple. Blue light is the shortest and brightest wavelength that disrupts the production of melatonin hormone. This hormone is responsible for the body’s sleep cycle regulations. This not only results in sleepless nights and fatigue but also gives an invitation to several health issues including weight gain, anxiety, depression and heart diseases. Melatonin not only regulates your sleep cycle but is also a powerful antioxidant important for your body’s ability to naturally fight against cancer. When your melatonin hormones are reduced, the risk for cancer and other ailments increases. If you are a persistent bedtime phone user, you considerably increase the risk of inflammation and cellular damage. Lack of sleep can lead to puffy eyes, dark circles and fine lines across the face. The blue light emitted by your smart phones activates the secretion of cortisol, which damages the skin’s elasticity and smoothness. Due to improper sleep at night, our productivity reduces drastically. This ultimately damages our long-term & short-term memory and reduces our decision-making skills, which gives birth to unnecessary anxiety and stress. Additionally, a study found that the excessive use of smart phone disrupts our natural circadian rhythms. These effects are showing up most blatantly at bedtime. Use of smart phone in day-time obviously leads to excessive screen time, but bedtime worsens the sleep disturbances. These are some serious concerns, which raise the question: Is it really worth? Take the charge of your health and live a healthy life. Keep your cell phones away during bedtime. Involve in healthy sleeping habits. Last but not the least; invest in the good quality mattress made from CertiPUR-US Foam. Sleep experts strongly recommend this type of mattress for sound and peaceful sleep! Sleep Debt is Serious. Repay it at Earliest.